Discussion in 'UFC Discussion' started by Sarumyan, May 29, 2014. Estimate BF % of a well-known fighter for the fun of it. Please supplement with pics. Both in-shape, out-of-shape, walk-around are acceptable. 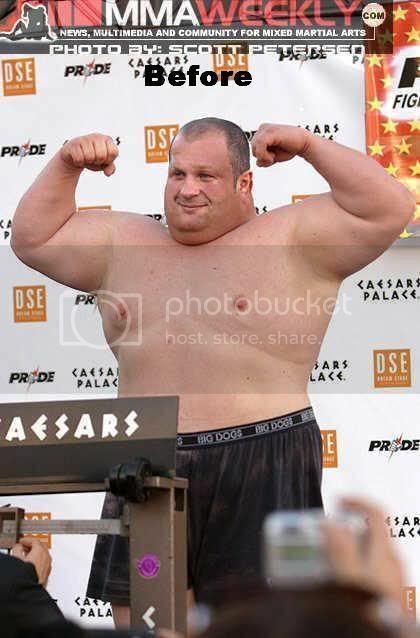 Just post either year or a pic to indicate Body fat % at certain stage of the fighter's career. So the lower the percentage, the harder the erection? Am I doing it right?